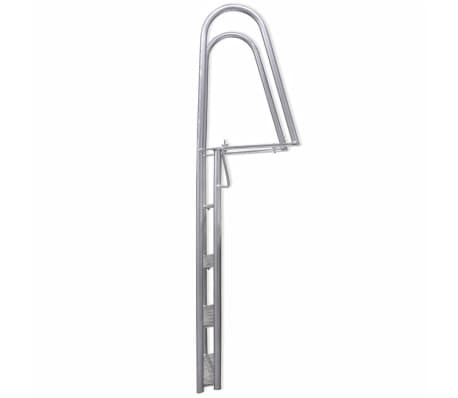 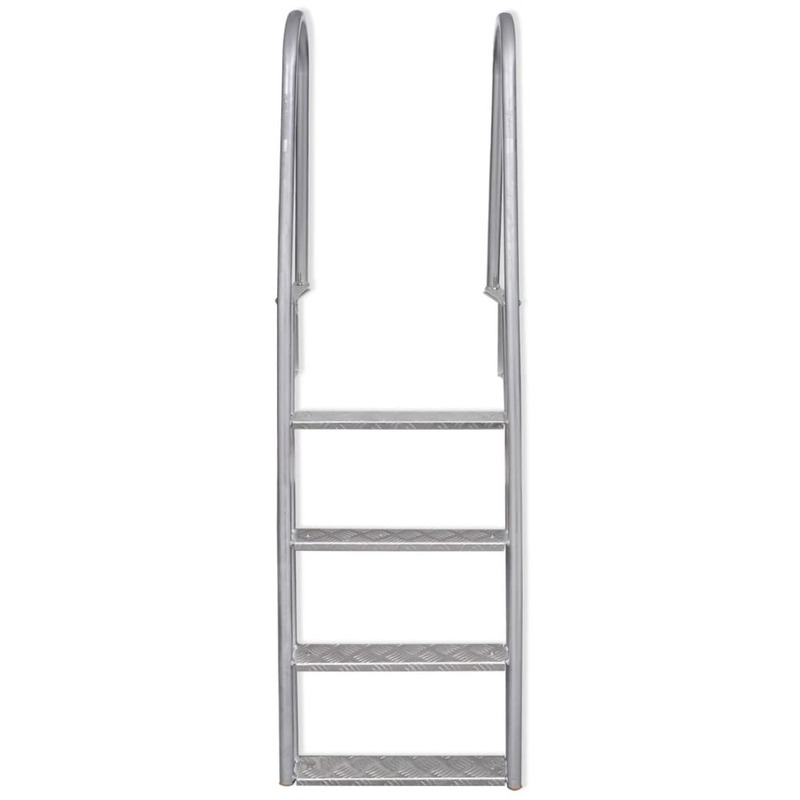 vidaXL 4-Step Dock/Pool Ladder Aluminum 66.9"
With our 4-step ladder, you can board/exit the dock or poolside safely and effortlessly. 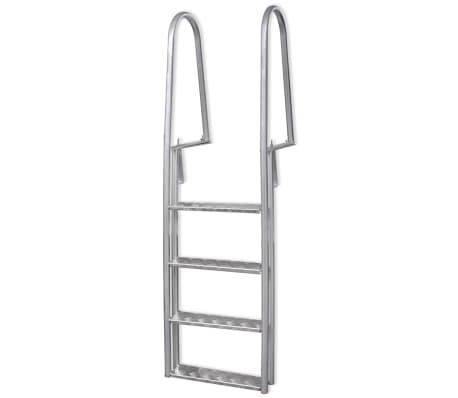 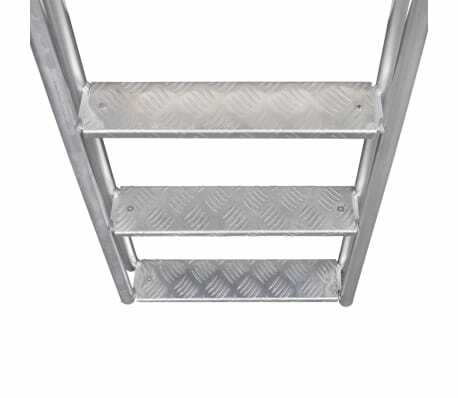 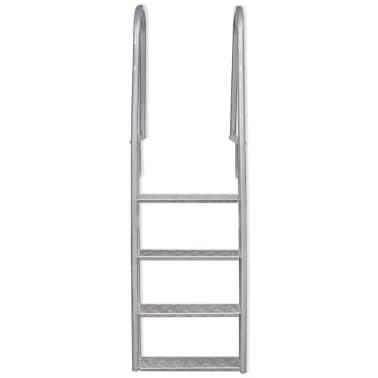 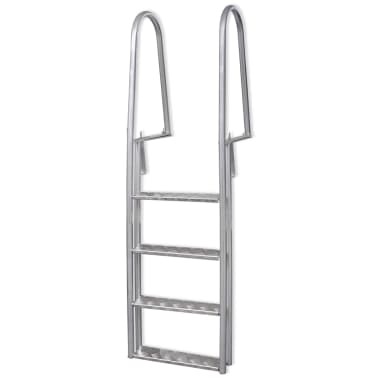 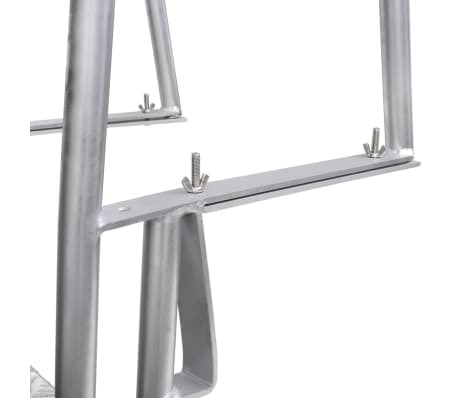 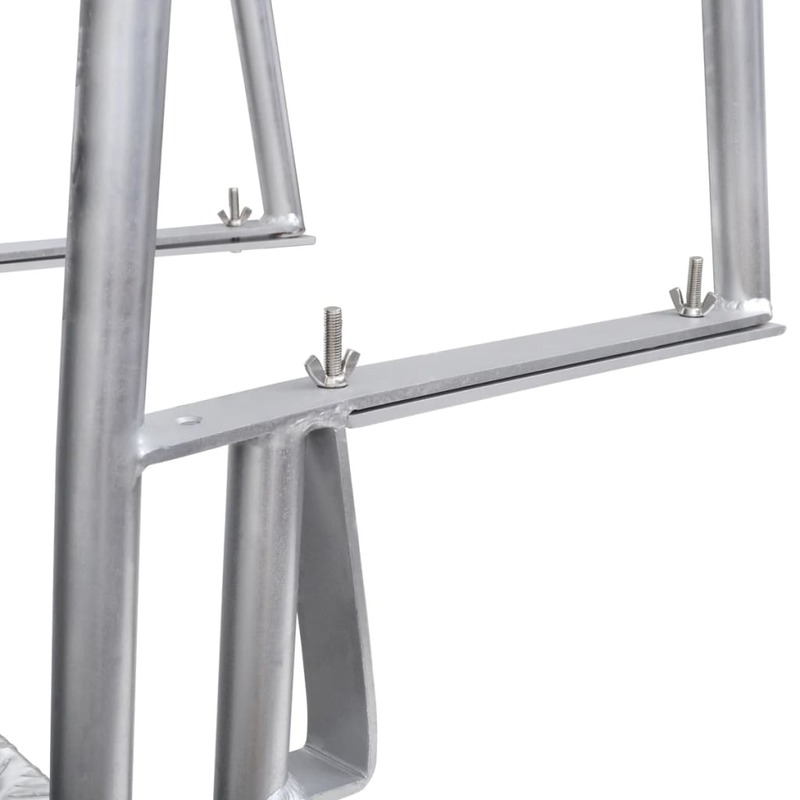 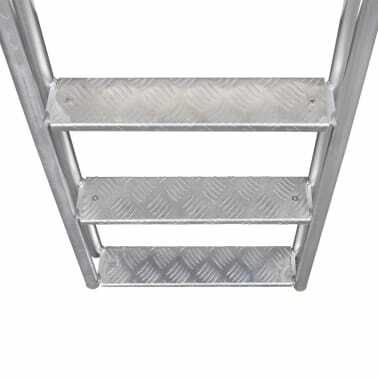 This durable and weather-resistant jetty ladder is made from sturdy aluminum. 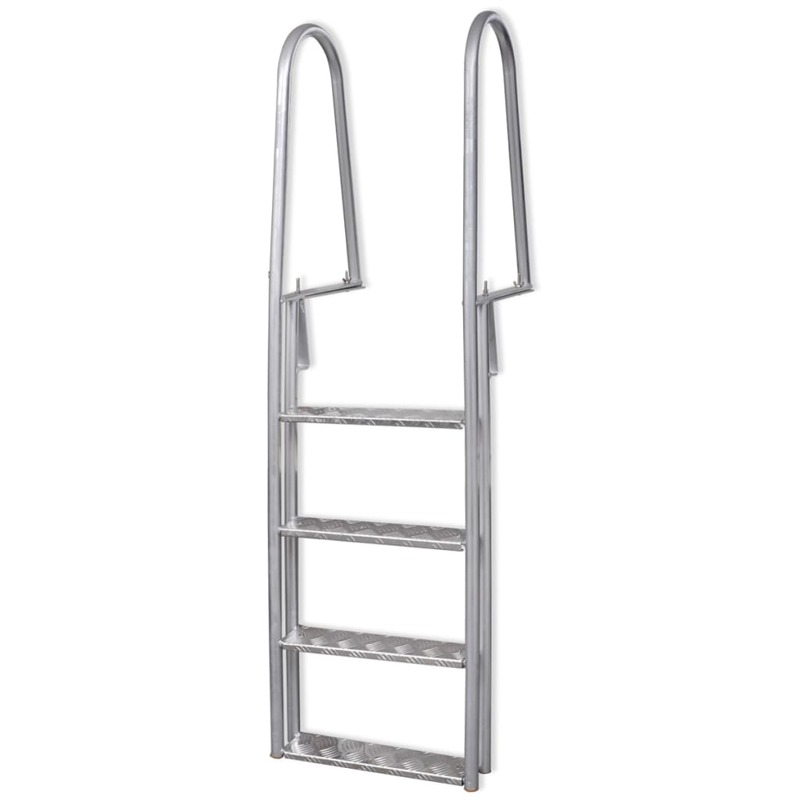 It has a maximum load capacity of 220.46 lb and is ideal for both outdoor and indoor use. 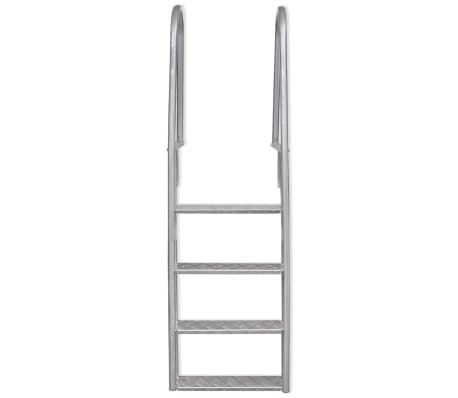 This dock ladder in a solid construction has wide, non-slip steps and large handles for added safety.